Winning Streak 2 is an open style performance sports yacht capable of a maximum speed of 27 knots. Built in 2002 and refitted in 2018, she offers a wide range of activities and equipment for sea lovers. Winning Streak 2 has a timeless interior design and elegant furnishings, featuring a neutral classic interior with warm gloss woods, a cream palette with luxurious soft furnishings, and every space filled with natural light. 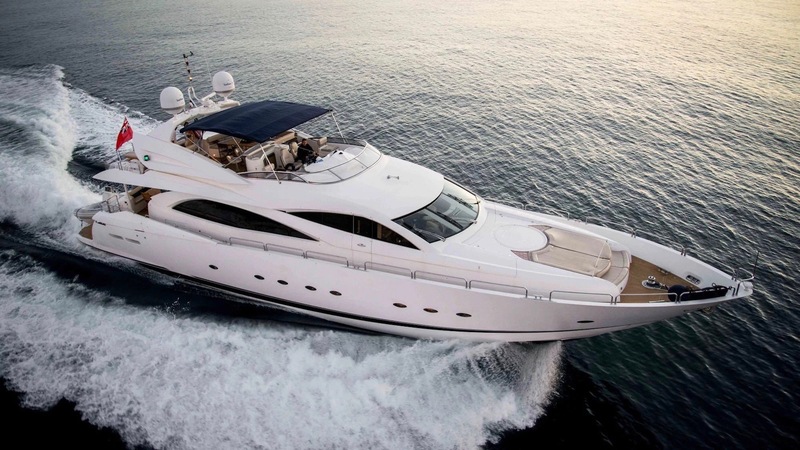 Boasting a large amount of onboard space for a yacht of her size, she can welcome eight guests on board and is an ideal choice for groups of all sizes. Four crew are on hand to take care of her guests every need. The yacht is also available as a base for static charters and can welcome up to 45 guests on board for an unforgettable event – perfect for a memorable occasion!